The aim of this work consists in analyzing the effects of renewable energy on sustainable growth in the Organization for Economic Cooperation and Development (OECD) countries. We investigate the effects of renewable energy technologies and the consumption of electricity from renewable energy on adjusted net saving (GS). 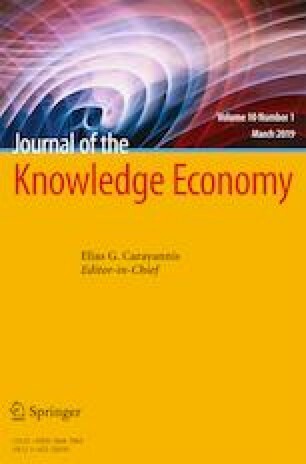 We used a panel model applying on the modified environmental Kuznets curve (MECK) for the case of 13 OECD countries covering the period 1990–2013. Our contribution to the literature is manifested by the decomposing of the independent variable of energy on two types; renewable energies and fossil fuel energies in the MECK. Our results showed that the innovation of renewable energy technologies affects positively adjusted net saving. Electricity from renewable energy has a positive impact on adjusted net saving. The innovation of renewable energy technologies promotes sustainable growth path in the OECD countries. So, policy makers of the OECD countries should, firstly, encourage the consumption of renewable electricity because it has a very high positive impact on sustainable growth path. Secondly, they are invited to stimulate the innovation in renewable energy technologies. World Bank (2015). Monitoring reports: http://www.worldbank.org/en/publication/global-monitoring-report (2014/2015).